Most of the pleasure of going to Ikea is the same as going to any other store: selecting an item to buy and then leaving with said item so that you and your lover might spend an evening arguing over the proper construction of a KALLAX. The new Ikea store, set to open in New York City sometime in 2019, will be just like a regular Ikea, minus one small detail: you won’t be able to actually buy anything. Curbed reports that the new Manhattan location will not be like the Ikea that currently exists in Brooklyn, but some sort of strange storefront that lets people look at the things they want to buy, order those things, and then go home and wait for a delivery person to deliver them. 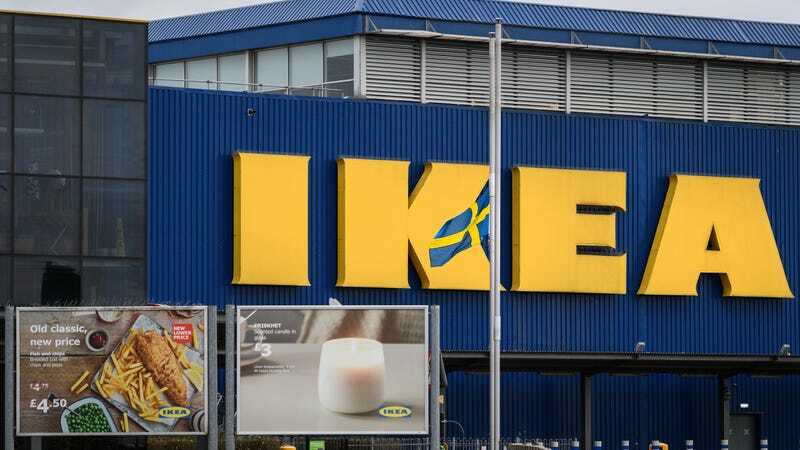 “It will give customers the opportunity to discover, select, and order IKEA products for delivery to their home, which is what urban residents want and need,” reads a press release. Fair point, IKEA press department, but what about the rest of us who want to go into a store and actually leave with something tangible in hand beyond fond memories? Buying a sofa and then trying to get that flat-packed sofa into the backseat of a car is a nightmare, but so is walking into a store where you can’t buy anything at all! Take my money. Give me a picture frame. Don’t tease me.